Denny Landzaat (born 6 May 1976) is a Dutch football player. 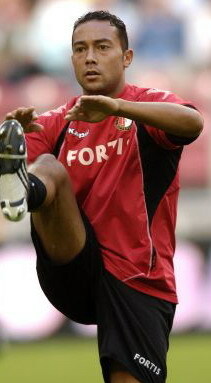 He plays for Feyenoord Rotterdam. ↑ Strack-Zimmermann, Benjamin. "Denny Landzaat". www.national-football-teams.com. This page was last changed on 14 February 2019, at 10:14.